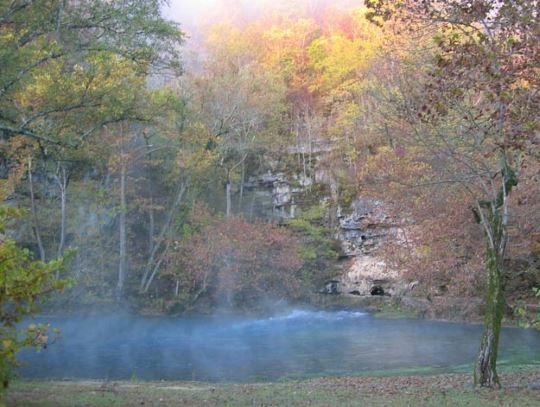 This is the largest spring in Missouri and the largest freshwater spring in the United States. On an average day, around 278 million gallons of water gush forth from subterranean passages, swelling the nearby Current River. Experiments in which harmless dye is placed into the ground have shown that water travels from as far as 45 miles away through underground passages before surfacing at Big Spring.